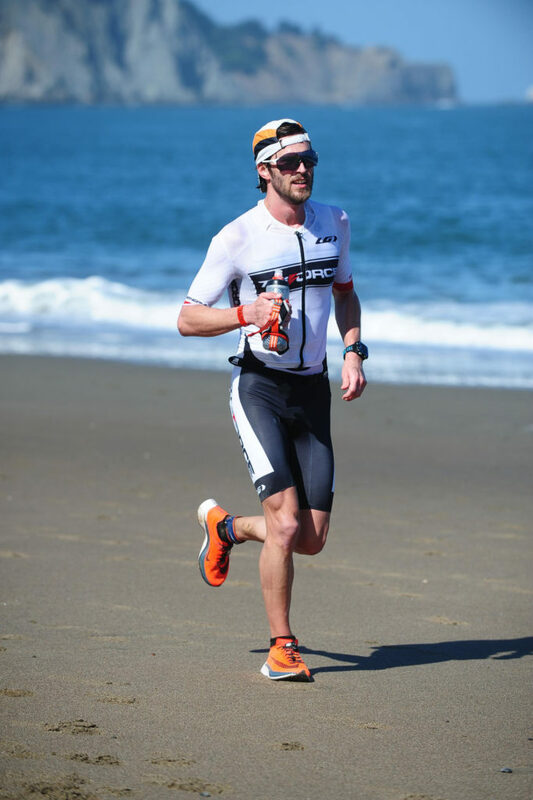 In honor of Father’s Day, I’m writing up my training strategy and race report for Escape From Alcatraz, which took place 10 weeks after the birth of my first child! At the outset, it was unclear how much time and energy I would have for training during this period, so my coach Kevin Coady and I appropriately termed this The New Dad Experiment. But first, a disclaimer: this post is not meant to be a brag about how little training I did in the lead up to Escape From Alcatraz. Given the choice, I will always choose to train harder and longer. However, with time and energy constraints, this was the best I could do. And second, a thank you: I’m extremely grateful to have helpful family, a loving wife, a healthy baby, and ample parental leave. Without all of those things, this would have been extremely difficult if not impossible. That being said, I did the best I could to prepare. 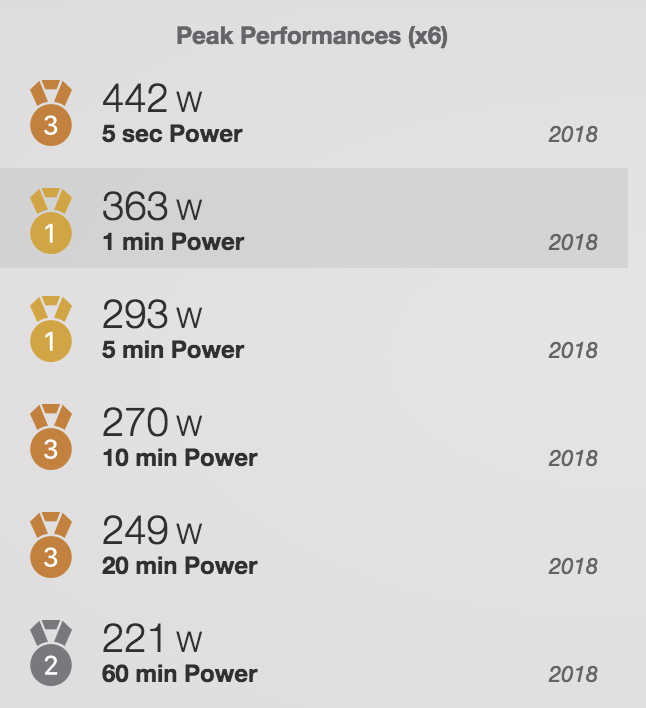 My training for the last 5 years has been very consistent, so I knew I could get away with slightly lower volume given my aerobic base. I had very frank discussions with my wife about reserving an hour a day for training. Although it might feel somewhat selfish, remember that swimming, biking, and running are my way of staying sane. The mental break that training afforded me during these first 10 weeks certainly helped me recharge and be happier and more patient. Be willing (in fact, be insistent) to pay back your training time by giving your partner an equivalent break for themselves. Take care of yourselves and take care of each other! Logistically, an hour a day of training needs to be an hour a day, not 15 minutes of setup, 30 minutes of exercise, and 15 minutes of teardown. If you have the space and the money to do so, carving out a Pain Cave in your garage or one of the rooms of your house is invaluable to making good use of your training time. In the foreground and on the left, you can see I invested in a used Vasa SwimErg (more on this below) and a treadmill. 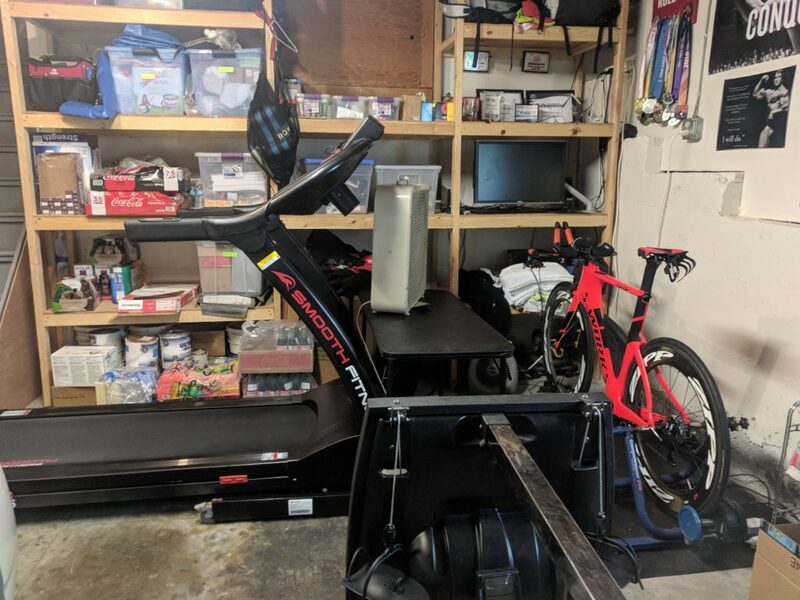 On the right, my tri bike stayed permanently attached to my CompuTrainer sitting in front of a cheap PC for watching Netflix and using Zwift and TrainerRoad. And, most importantly, plenty of Coca Cola on the shelves and posters of Arnold for motivation. One of the many ways in which I’m lucky is having grown up as a swimmer (thanks, Mom!). I wouldn’t really say I have a perfect “feel for the water,” (which I’m not even sure many Olympians do), but I do have a solid foundation of technique. That means that, for me, getting ready for the swim leg of a triathlon comes down to building strength, for which the Vasa SwimErg was designed. Again, I wouldn’t recommend relying solely on a dryland machine for your “swimming,” but if getting to the pool is going to take away 30 minutes from your 1 hour per day, the Vasa may be a good alternative. Ideally, however, the Vasa would be a supplement, not an alternative. The treadmill is another huge time-saver. Put on your shoes, grab a water bottle from the fridge, and you’re off (or, at least, spinning on your hamster wheel). The area where I live is very hilly, which makes for great running when I can get outdoors, but isn’t ideal for transition runs or Pain Train workouts (more on these later). Vasa workouts were usually time-based intervals, something like 3×10 min at low resistance, 5×5 min at medium resistance, or 30x30s at high resistance. If I had extra time on other days, I would do a Vasa before or after a run or bike in case I needed a day off for whatever reason. 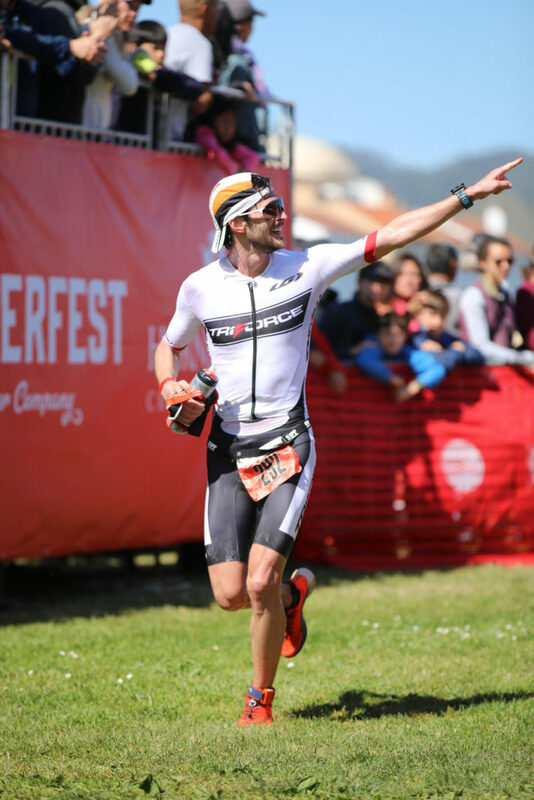 The Pain Train is a brutally effective workout for shorter races like Alcatraz and Olympic distances because it simulates near-threshold running after near-threshold biking. With a treadmill right next to your bike, there’s no excuse for an extra-long transition! Note the Intensity Factor (IF) of 1.01, the TSS of 102, and the Normalized Power (NP) of 243, or about 3.8 W/kg for me. 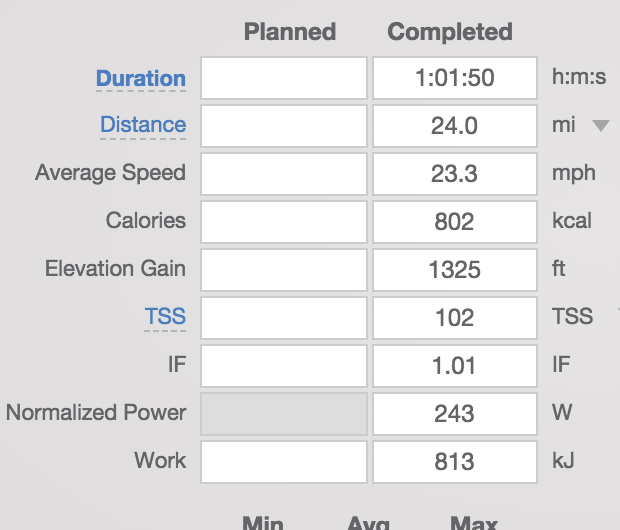 This workout was a pretty good indicator that my FTP had increased. But I can assure you it was a lot more fun than doing a 1-hour TT by myself! 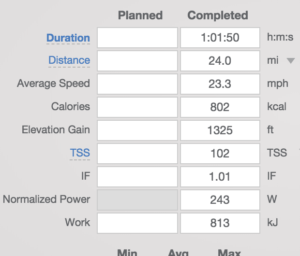 Knowing that Escape From Alcatraz is extremely hilly on both the bike and the run, Monday and Tuesday were strength-building workouts on the bike and run, respectively. At least half of the threshold bike intervals on Monday were done at low cadence and the Tuesday runs were often on hilly trails if I could sneak outside. One overarching theme here is specificity: lots of time spent at race intensity. This would prove invaluable on a tough course like Alcatraz. Escape From Alcatraz has been on my bucket list ever since I moved to San Francisco. It’s one of the original triathlons, dating back to 1981, on an iconic, technical, challenging course. I’m happy to say it did not disappoint! 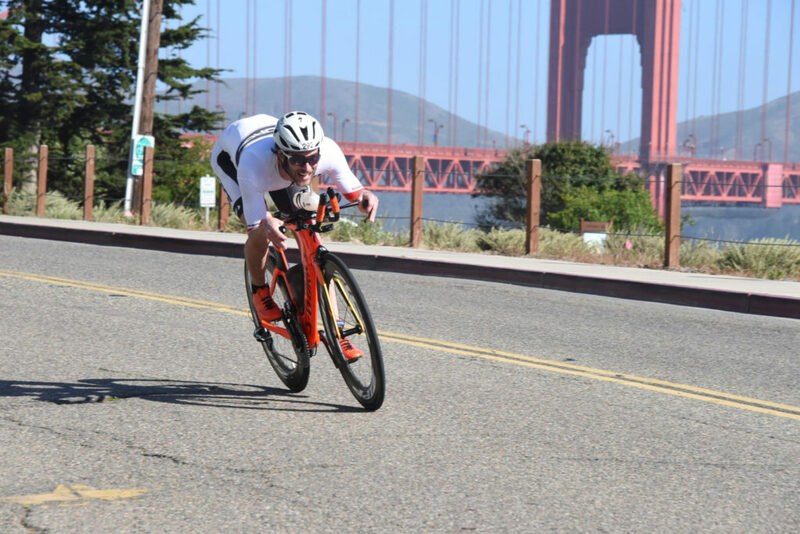 One of the reasons Alcatraz was perfect for The New Dad Experiment is that its distances (1.5-mile swim, 18-mile bike, 8.3-mile run) make it incomparable to a typical Olympic distance race. That means no comparing to pre-Dad best times! 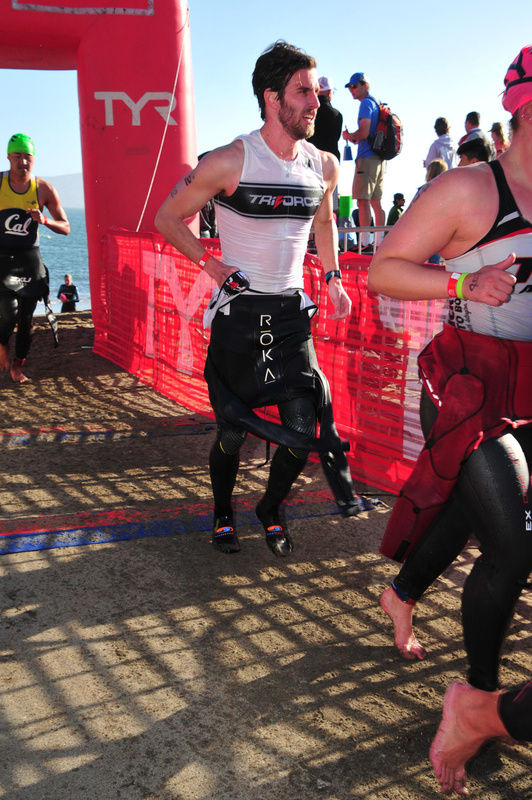 We lucked out on the day of the race with some of the calmest water conditions ever seen around Alcatraz. This was in stark contrast to last year when the swim was canceled because of rough waters. Even so, the rocking and rolling boat ride out to Alcatraz (an unforgettable experience), portended some huge swells! Although I took a bad line, I swam smart, not hard, knowing my fitness would be lacking from doing almost nothing but the Vasa. The swim times were insanely fast given the strong current, as my 30-minute 1.5-mile split was relatively slow on the day! The bike course was hilly, technical, and short. 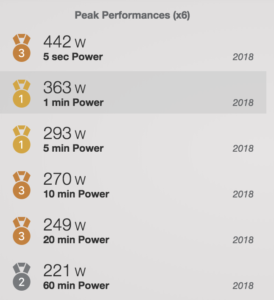 I leveraged my weight advantage and my strength from Monday low-cadence intervals and Saturday high-variability Zwift races to punch my way up the steep climbs. Whenever I could, I tried to appreciate what a privilege it was to be bombing around corners next to The Golden Gate Bridge! As with the swim, the goal of the run was to race smart, not hard. My run volume simply wasn’t high enough for me to be confident that I could push from the start. I settled into a comfortably hard pace for the first 2 miles and saved myself for the stairs and the Sand Ladder. I’m glad I did! By the last mile, I could tell my legs were spent. I didn’t blow up, but I was right on the edge, meaning I paced pretty well. Whatever circumstances you find yourself saddled with after becoming a parent, don’t give up hope that you can continue training and racing, even if you have to downgrade your expectations a little. Staying healthy and fit makes you a happier parent and, someday, a better role model to your kids. An hour a day is not much, but it’s better than 0 hours per day!